The Ministry of Manpower (MOM) announced on 5 September 2017 that they will be introducing a new Work Pass (WP) card with a QR code and a free SGWorkPass mobile application. A WP card is an identification card that contains employment information of foreigners working in Singapore. The old WP card had a date of expiry printed on the card. Service providers, premise owners or employers used to rely on the printed date of expiry as proof of status before entering into a contract with the pass holder or allowing entry into a premise, etc. However a foreigner’s employment may be cancelled before his work pass expires due to various reasons such as resignation or restructuring. Hence, the date of expiry printed on the work pass card may not reflect the most up-to-date status. With the new WP card, a QR code will replace the date of expiry. Employers and stakeholders can now utilize the SGWorkPass mobile app to scan the QR code on the new WP card, in order to check the most updated status as well as to verify variable information such as date of expiry and occupation. MOM will be issuing the new WP card in phases, starting with work permit holders in the Marine Shipyard and Construction sector from 15 September 2017 and to other work pass holders in the coming months. Existing WP cards will remain valid and pass holders will receive their new cards as and when they renew their work passes. 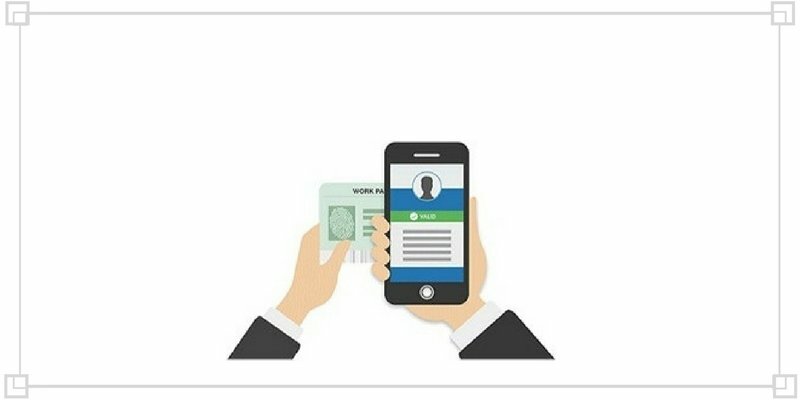 The SGWorkPass app will enable employers and pass holders to check the status of work passes with their smartphones simply by scanning the QR code on the new WP card. For users without smartphones, they can still use the existing e-services on MOM’s website such as the Work Pass Online (WPOL) / Employment Pass Online (EPOL) or the Check Work Pass Status to check on pass status. The new SGWorkPass app can be downloaded for free from Google and Apple’s app store. >We are experts when it comes to Singapore's immigration laws and regulations. Our reliable guidance and high success rate comes with 20 years of experience. Secure your work pass and visa with us.